Once the shoot finished we headed towards Everett, Washington where we would spend the next couple of days with hosts, Mudflat Mike and Nellie Belle. Now we are seeing the 'Evergreen State'! 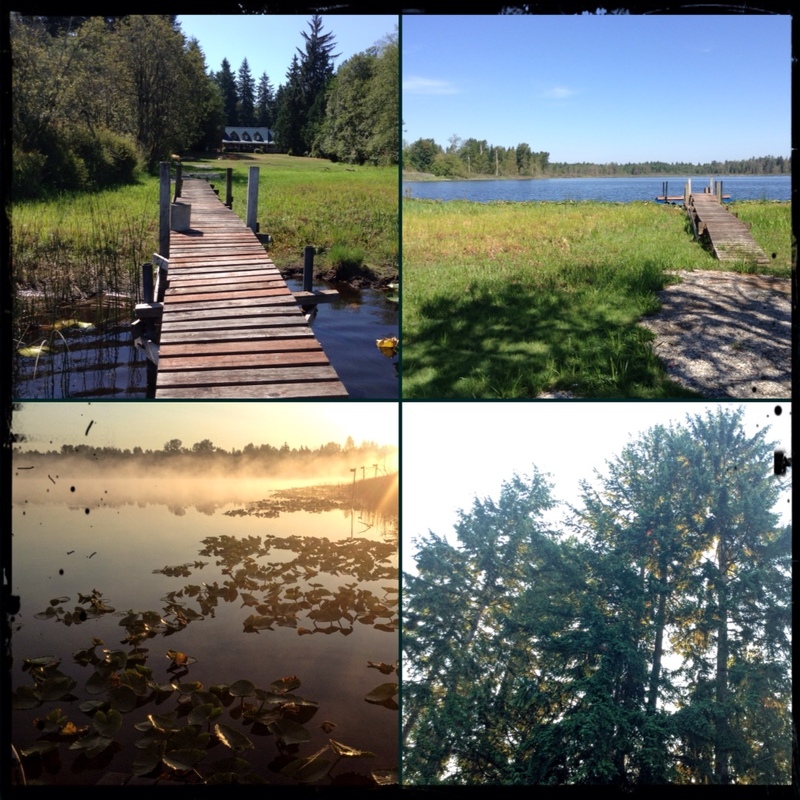 Everett and the surrounding area is forests, ferns, green as green, lakes and is not far from Puget Sound and the Pacific Ocean. Their gorgeous little house sits within the vicinity of Lake Cassidy which made for a pleasant view for the morning workouts. Monday was casual, get washing done, sit and chat over projects, and just enjoy the beautiful fuchsias, hummingbirds, squirrels and blue jays. 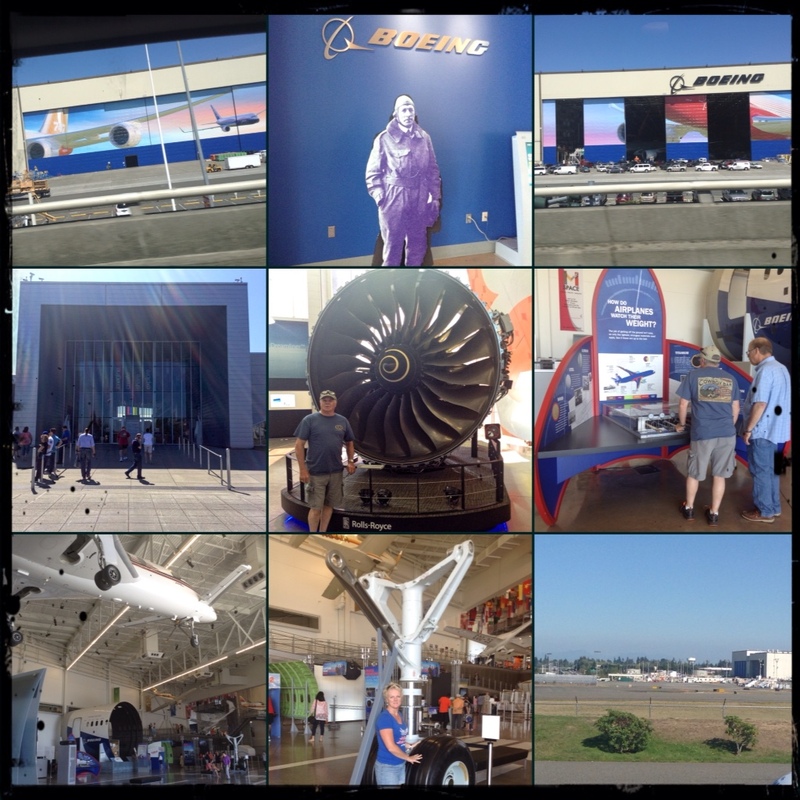 Tuesday we headed for the Boeing factory and went on their tour. Unfortunately no photos inside the massive plant, suffice to say it certainly is mind blowing at the capacity and size it is. It's hard to fathom the sheer size of these from the viewing balconies. 214ft of wingspan fitting in a building is incredible. The automation lines has sped up production with overhead gantry cranes like I've never seen before, moving sections of plane body around and into place for attachment. Yes we did get to view many planes in various stages of production including completed paint jobs and planes waiting for delivery. Air New Zealand, Jetstar and Aero Mexico to name a few. Boeing employs approx 42,000 people with the oldest being a lady who is 92 years of age and has worked with the company for 72 of those. Some have 'kept it in the family' and generations are or have worked with Boeing. We did visit the Future of Flight Center (which is where the tour begins) and were able to get up close to engines and nose gear which certainly puts things into perspective. You can test your flight control abilities, check out the strength of various composites that go into an aircrafts making, view business plane interiors and be used for a survey on future plane seating and headspace. Then we took the tourist drive down to Mukilteo to the docks and the ferry port where residents of Whidby Island come and go across Puget Sound to and from work. Ahhhh, breathe in the salt air! 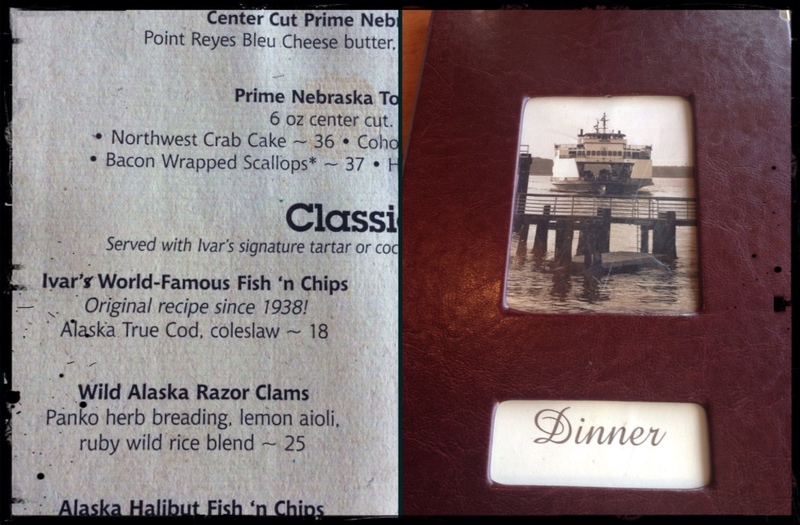 With a view of the Sound, fishing boats and the ferries coming and going we enjoyed dinner at Ivars. What's for dinner? Fish and chips of course! (And yes they actually called it chips here not fries) tasted the local brew from 'Diamond Knot' and 'Mac and Jack' for Jack. The scenic route back round through Smokey Point to their home club meeting. It was funny watching the preparation for the upcoming entertainment at their 2015 annual 'Standoff'. If you are getting to this shoot, you are in for a treat, the bay's are shaded and I've seen the evidence of previous opening ceremonies and entertainment spectaculars! Lol! We departed from our gracious hosts this morning to start the trek back to Oklahoma. Thank you Mike and Teri we thoroughly enjoyed your company and getting to know you better.